Looking at your competition from the outside in might feel like working at a disadvantage, but by using market research to understand them, you’ve got the benefit of objectivity and perspective. Add a systematic method for gathering data, and you’ve got a recipe for competitor analysis success. Collecting competitor data takes some effort, so it’s essential to understand why you are doing it and what you can achieve. Your goal is to create a richer picture of the customer’s experience with your competitor and identify the key drivers behind consumer behavior. What is it they like or dislike, why are they choosing one business over another, and what other factors have a major business impact? There are three major themes for gathering competitor analysis data. The lifeblood of any business is its products and services, which makes this a solid place to start collecting data. Information on their product range, prices and quality should be freely available, as should details of any special offers or loyalty programs they offer. Are these seen as high-end or low-cost products? How does the online experience differ from bricks and mortar stores? You can also look for key differences between their products and yours – try to identify why consumers choose them over you and be specific about particular product features or aspects of their services. Sales data is harder to come by than product data, but it’s possible to glean valuable insights on your competitors’ sales strategy. Your own sales team can help here by tracking what customers have said about competitors and how they’ve made a decision between providers. You can also check the annual reports from public companies online. If you’re able to bring together a large enough panel to include a representative sample of your competitors’ customers, you can dig deeper into their sales process and the key touchpoints that made people choose your competitors or not. Do they use franchises or partner reselling programs? Do they offer regular discounts or promotions and were these a factor in their decision? Why have customers chosen to leave them or not to buy from them? The website is usually the center point of your competitors’ marketing operation. Social media may also be a powerful conduit for their brand as well as any print, TV, or online video advertising. It’s worth showing your respondents a selection of marketing materials from different competitors to understand what’s working well for them. In some cases, you might want to anonymize the assets you show – say for example you want to understand how consumers respond to their print advertising you could show them with the brand names removed, or just get their reactions to straplines, special offers and other parts of the advertising. This can allow you to assess different elements of their marketing, controlling for things like brand perception. What was the main takeaway? What key benefits did they understand from it? Would they be more or less likely to buy after seeing this? And for all of these questions, make sure you include an open text field for your respondents to tell you ‘why’. 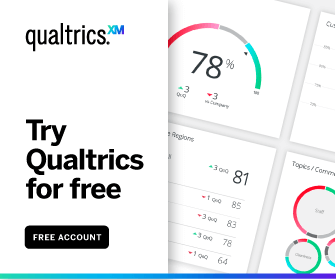 This allows you to gather deep insights about what lies behind their responses – you can analyze these automatically using text analytics to surface key topics and sentiment so there’s no need to spend days sifting through all the comments.